The winter weather brings with it plummeting temperatures as well as snowy and icy roads. And with some it being the holiday period they are bound to be a lot of people on the roads heading home for the holidays. The freezing weather can have negative effects on your car and getting stuck in the middle of nowhere can be a pain. How can you make sure that your car is well cared for during this season? We have put together a helpful list of simple car care tips that can go a long way to making sure that your car stays in great shape all through the winter period. The first this to do is to get your car serviced. If you have kept up with the scheduled servicing, you shouldn’t have a problem, but if it’s been a while since your car was last serviced then you need to make sure that you schedule one. 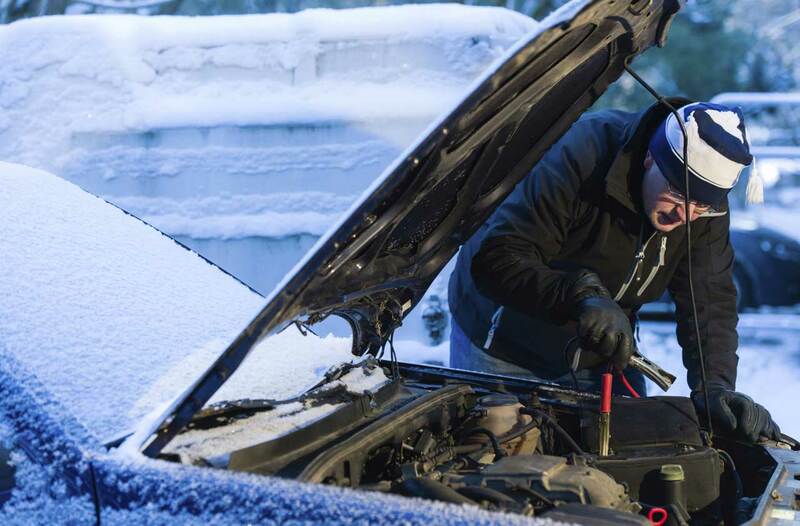 The freezing weather can cause a variety of problems for your car and up to half of these problems can be prevented with regular servicing. Some servicing company also offer free or discounted winter car check-up, so a clever idea might be to take advantage of these offers. One of the first things to check should be your battery, because of the weather you are going to be using more power that you normally would. The increased use of light, heater and blower is bound to place extra stress on your battery, so you need to make sure that it can handle all the usage. Your engine coolant should be a mixture of water and anti-freeze, a 50-50 mixture to be exact. You should also remember to top it up with anti-freeze as it becomes diluted over time, a majority of drivers make the mistake of topping up with water throughout the year, but this can cause freezing on cold days. During the winter season you are going to be making more use of your lights and you should make use that they are up to the task. Check that all light, indicators and rear reflectors are clean. You should also make sure that there are no cracks on the lenses and that bulbs are all intact. Your tyres are probably the most important part of your car, and should be treated as such. Your tyres are the only part of your car in constant contact with the road and if not maintained properly can affect other aspects of your car like your steering and brakes. Check your tyre pressure and tread depth, check the sidewalls for bulges and starches and finally for wear and tear. If your tyres are really worn then it might be time for new tyres, when buying new tyres, it is important to get a set that has been approved for your car. Remember to check the tyres size, tread depth and speed rating to make sure that it fits with your car and the remaining tyres.